Which Desk Chair is Best for You? Desk Chair vs. Sitting Ball vs. 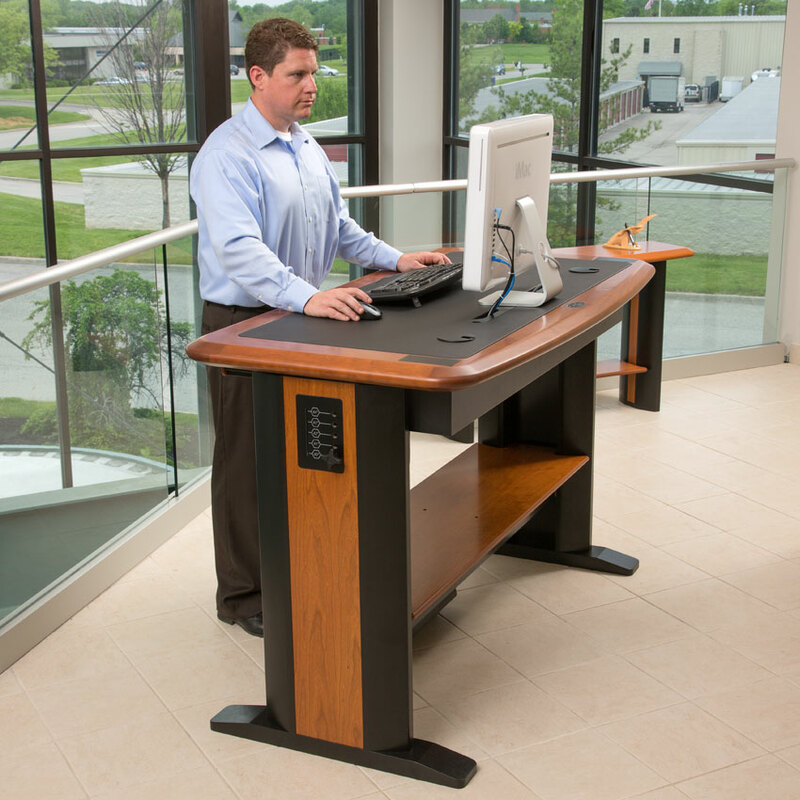 Standing Desk vs. Treadmill Desk – Which is best? We get asked all the time not only about workstation ergomomics and positioning, but also about which desk chair is best. People just sit these days – a lot – at their jobs and it can lead to a myriad of problems. Fortunately, there are many options for desk chairs and even more options for alternative work station “chairs” like standing desks or treadmill desks. Definitely, this is a step in the right direction as many experts have called sitting the “new obesity.” While it is beyond the purpose of this blog to talk about all the conditions that are affected by prolonged sitting, trust us, sitting all day is a problem!! 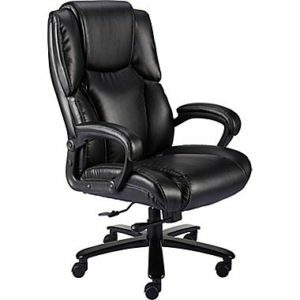 That being said, what might be the best desk chair for you? What does the research say about these options? Hopefully, this post will shed some light on the topic and give some direction about which is best for you and your situation. How long is your work day? Do you literally sit for 12 hours straight or are there typical breaks in the schedule that get you out of the chair? Do you have your computer in front of you or is it to your left/right? Do you have multiple monitors that you are looking at? By no means is this an exhaustive list, but hopefully gives you an idea of what you should be thinking about. 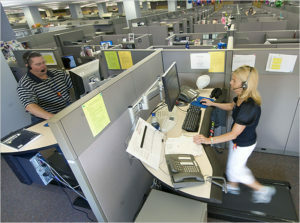 You might need a desk chair that rotates for example, if your monitor is on your left or right. Ideally, you are looking directly in front of you rather than keeping your head turned one direction. There is the question of productivity too. Does the type of desk chair you use affect that, one way or the other? Well, a study in Nature found that desk chair type doesn’t affect productivity. While it’s only one paper, it does show that it’s probably not a big deal what type of chair you use, unless of course you’re in too much pain to work. In that case, the chair type is not likely your only problem. Does Type of Desk Chair Affect Overall Health? It stands to reason that you’ll burn more calories on the job if you have a treadmill desk or a standing desk versus a sitting desk. Even in quiet standing, muscles are working to keep you vertical. Burning calories of course may lead to weight loss too, so a treadmill desk is a better choice than sitting too and this study showed that a treadmill desk at a speed of 1.1 mph burned 191 kcal/hour than sitting, which burned 72 kcal/hour. Perhaps the strongest support for a treadmill desk was in this prospective study where people were followed for one year using a treadmill desk. There was significant weight loss, a decrease in sedentary time, and no change in work performance. When comparing a stability ball versus a chair, one paper found that the stability ball increased lumbar muscle activation and decreased pelvic tilt, but lead to more discomfort. Again, it’s only one paper, but something you should consider when thinking about moving to a ball. 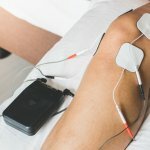 There’s even “pedal station” or desk bike products out there now (no financial interest in these), but we aren’t aware of any studies on them yet. Just another option to consider, but we imagine the results would be positive much like the standing and treadmill desks. There’s a ton of choices for desk chairs. They are one piece of the puzzle when it comes to workstation posture to be clear – the best chair won’t help if your workstation ergonomics aren’t right. This link has some great tips for setting up your workstation. All of that said, anything that gets you up and out of your chair is a good thing. Treadmill desks and standing desks often involve approval from the “higher ups,” but with a letter of need from a medical doctor or physical therapist, sometimes these things get approved. This is a case where you need to be an advocate for yourself. If you have the ability, a standing desk or treadmill desk is a better alternative than sitting all day. 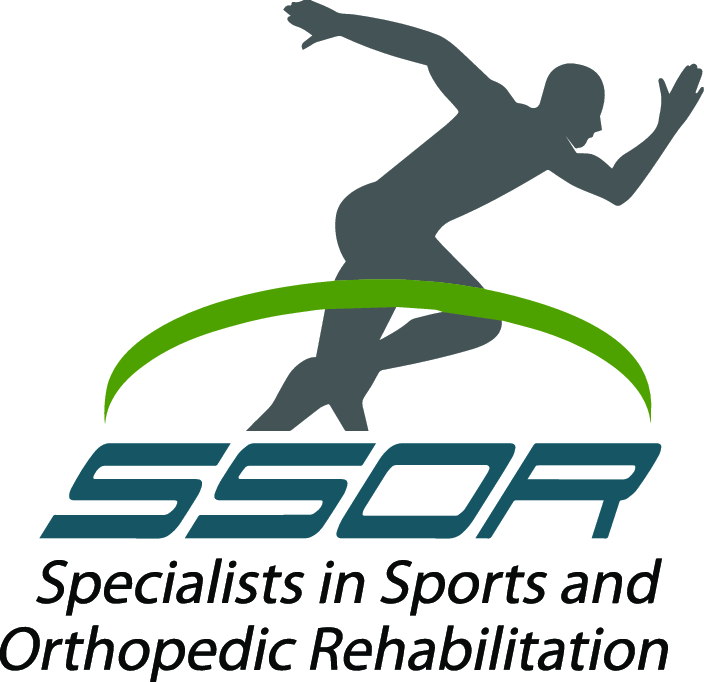 If you’re having pain from sitting all day in the neck, shoulders, or low back, the physical therapists at SSOR know how to treat this and get you results quickly. Give us a call! It would be a privilege to serve you and partner with you in your care.